THE DEAD CLASS from Liverpool are back! We had so much fun together in the past and I’m looking forward to their next tour in Europe! Wow! Die P.R.O.B.L.E.M.S. haben eine grandiose Kritik für ihr neues Album “Another Day” im neuen Ox Fanzine bekommen. 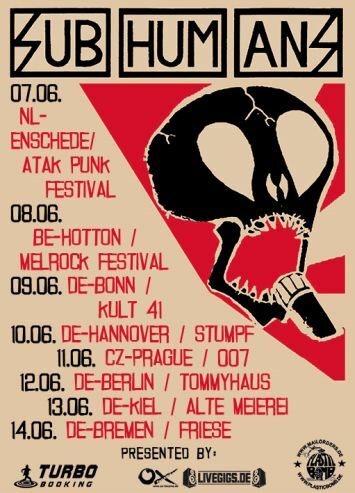 Morgen (Ostermontag) spielen sie ihre 40. und letzte Show dieser Tour im Hafenklang. — mit Kelly Halliburton. The P.R.O.B.L.E.M.S. 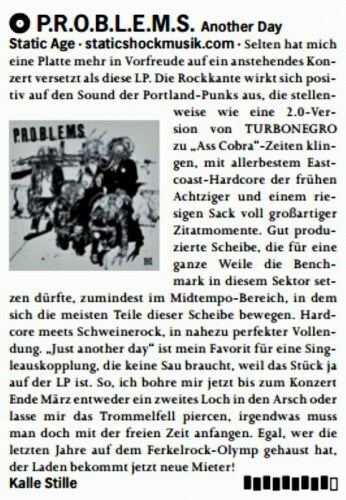 got a nice new review about their new album “Another Day” in the Ox fanzine! Welcome back to mainland Europe, Subhumans! The tour will be presented by Turbo Booking, Ox fanzine and Plastic Bomb fanzine. The P.R.O.B.L.E.M.S. tour is going great! After 6 successfull shows they only have 34 left. 🙂 In summer the Subhumans, the Franceens and the Flicts will follow! After a lot of work I’m happy to announce that the P.R.O.B.L.E.M.S. from Portland are soon going to play 40 shows in Europe! 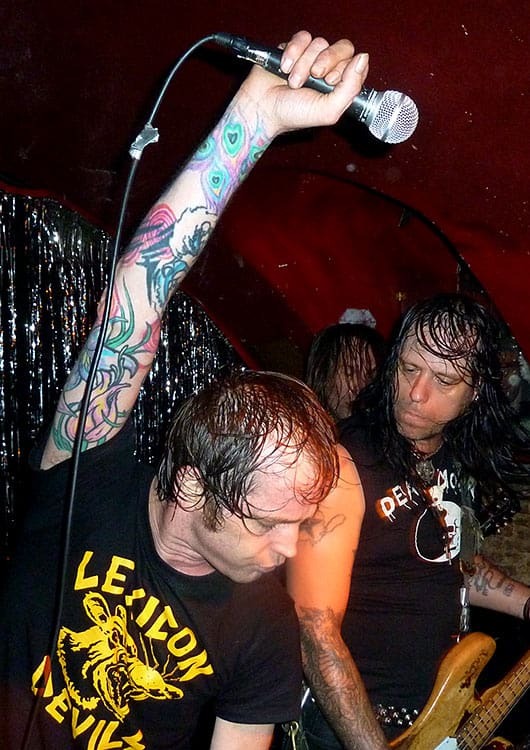 The Don’t and Ghost Wolves tour have been awesome, each with 27 shows in lots of European countries. 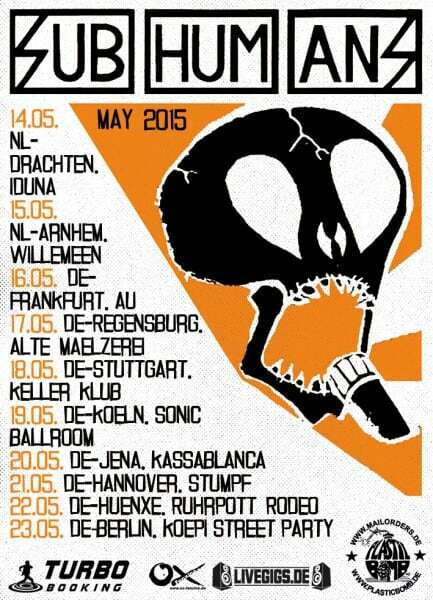 Many thanks to all people who still organize and go out and see live shows and who appreciate good music! You are heroes! 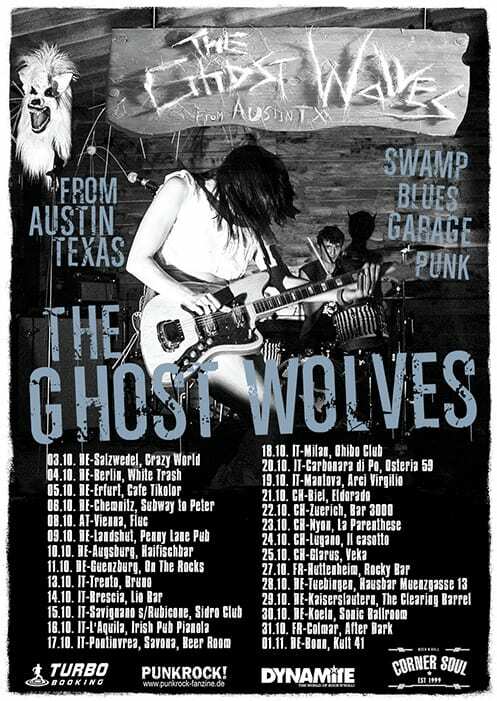 While the Don’t and the Besserbitch tours are going great the Ghost Wolves are preparing their Europe tour! Turbo Booking will take part at the MU:CON global music conference from October 6th till 8th in Seoul, South Korea! I’m happy to announce the autumn tour of Don’t from Portland touring in September and October 2014 in Germany, Denmark, Czech Republic, Austria, Slovenia, Italy and France. 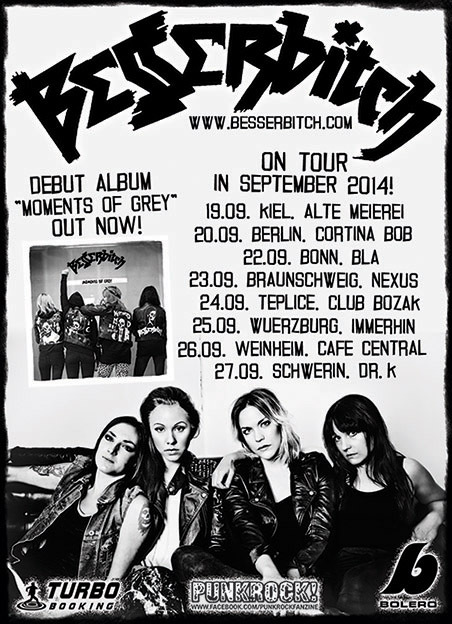 Can’t wait for Besserbitch from Stockholm touring in September in Germany and Czech Republic! Pete Bentham & The Dinner Ladies are back in Germany! 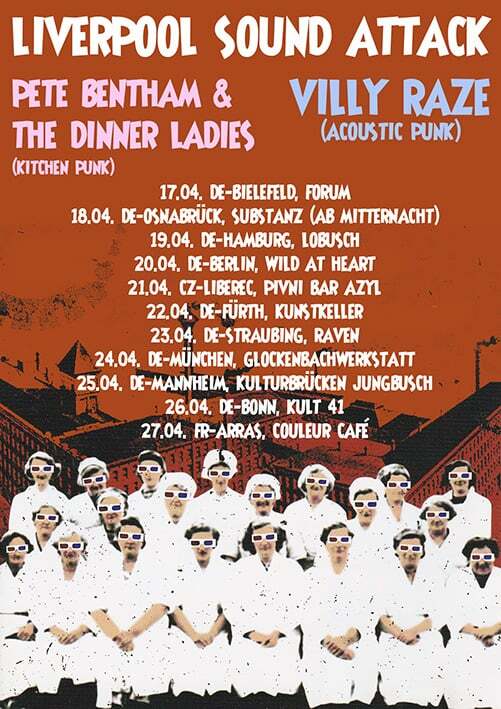 Enjoy the best what Liverpool has to offer – Pete Bentham & The Dinner Ladies and Villy Raze (The Dead Class) are back in Germany! 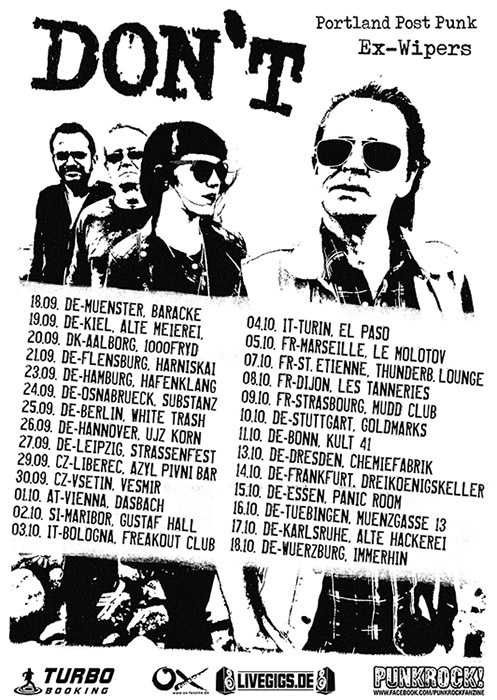 Turbo Booking presents the June tour of the legendary anarcho punks Subhumans! 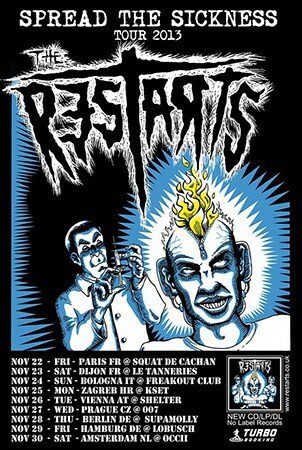 The Restarts Europe tour is complete. They’ll play shows in the Netherlands, France, Italy, Croatia, Czech Republic and Germany in November!